Classes look at the dynamics of stress and discover how it affects your health, emotions, thoughts and behavior. Learn techniques to manage stress in your work and personal life. Over the Counter Overboard – This class examines over the counter medications, what they do to your body, and why you may want to cut back on usage. How to Become a Good Healthcare Consumer – This class will help your employees learn how to use their benefits wisely. They will learn how to work in partnership with their physician and how to take part in all medical decision-making. Employees will become skilled at obtaining healthcare and making good decisions. Women’s Health – Let’s take a look at some conditions that affect women: Cancer, Osteoporosis and Heart Disease. Learn Steps that allows you to take a proactive approach to your own health. Kick Tobacco – This informal, small group session is designed to update smokers on resources available to assist in the process of stopping tobacco use. Topics covered will include counseling and support, nicotine replacement and tips on preparing to quit. The Reluctant Exerciser – This class looks at how to select the right exercise program for you. You will learn how to increase the intensity of your exercise within safe guidelines. Why Not Walk? – Learn the benefits of walking, how to buy footwear and how to customize a program for the beginner or the advanced walker. 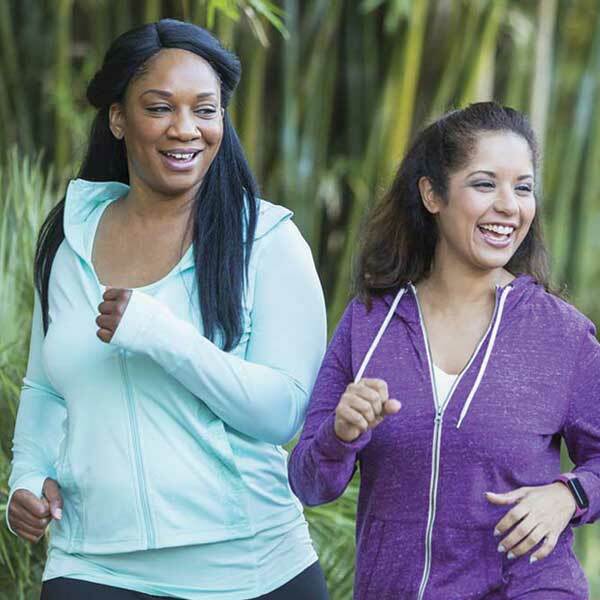 Fit It In – Learn the benefits of exercise and how to incorporate everyday activities into your physical activity plan, while also staying focused and motivated. A set of quick exercises is included in handouts. What’s in Your Drink? – Learn more about what the additives in popular drinks are doing to your body and the danger of mixing them with other common substances. Counting Carbohydrates – Learn which foods contain carbohydrates and ways to determine the number of carbs in different foods to make wise meal choices. Discover how fiber, sugar and alcohols affect the total carb count. 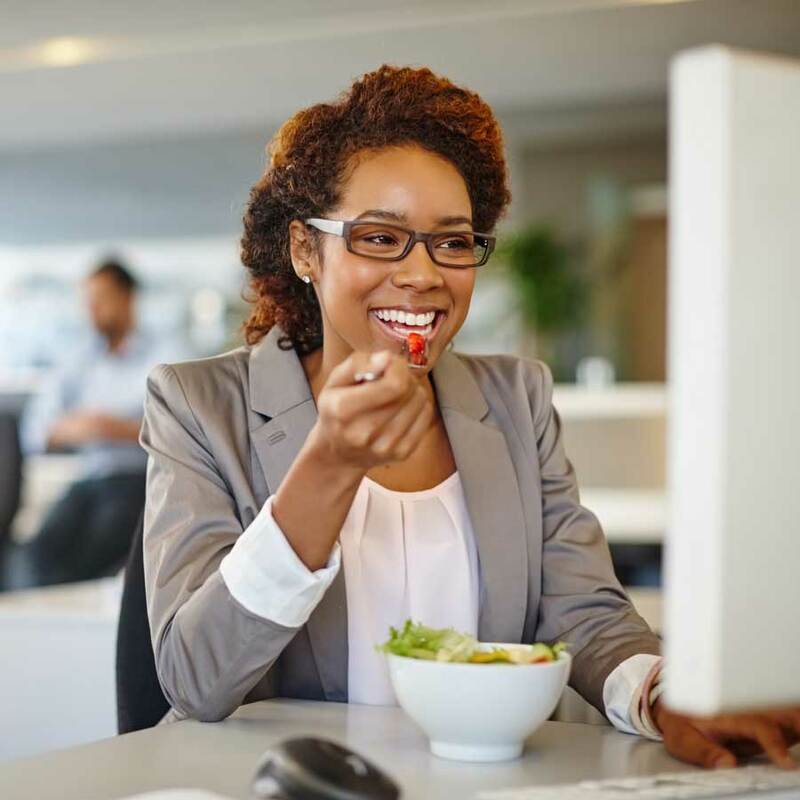 Eating Well at Work – Sometimes going to work can sabotage the best healthy eating plan. Discover the five nutritional “traps” common to the workplace. 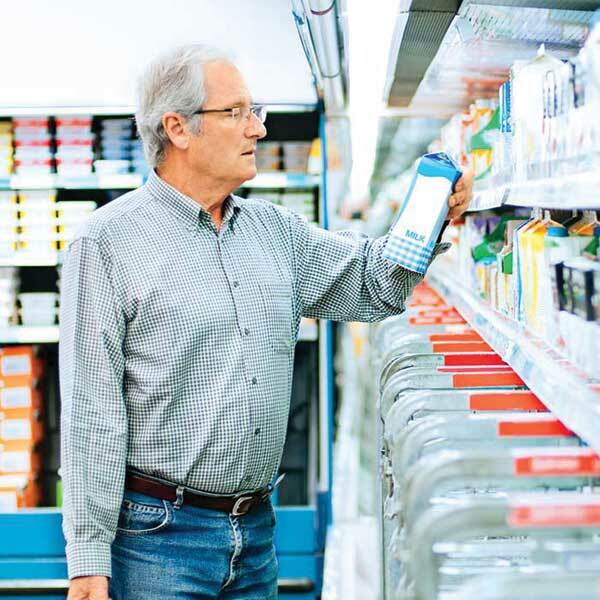 Eating Well Using Nutritional Labels – Does the nutrition label seem confusing?This class presents an overview of the nutrition facts label, as well as a breakdown of each section for a more detailed look. Worth It’s Salt? – This class povides a brief overview of sodium in the American diet. Learn how to locate hidden salt in foods and what flavoring alternatives you can try. The Buzz on Caffeine – Learn the effects of caffeine on the body. Guidelines for safe consumption and caffeine-free alternatives are also offered. Eating for Heart Health – What is a healthy eating pattern? Discover ways to put together healthy meals. S.O.S. : Success Over Stress – Take this opportunity to look at the dynamics of stress and discover how it affects you. Learn techniques and approaches to manage stress in your life. The Balancing Act – Learn strategies for balancing family, work and finances. Sleepless in Huntsville – Participants learn to identify sleep problems and how to improve the quantity and quality of sleep. 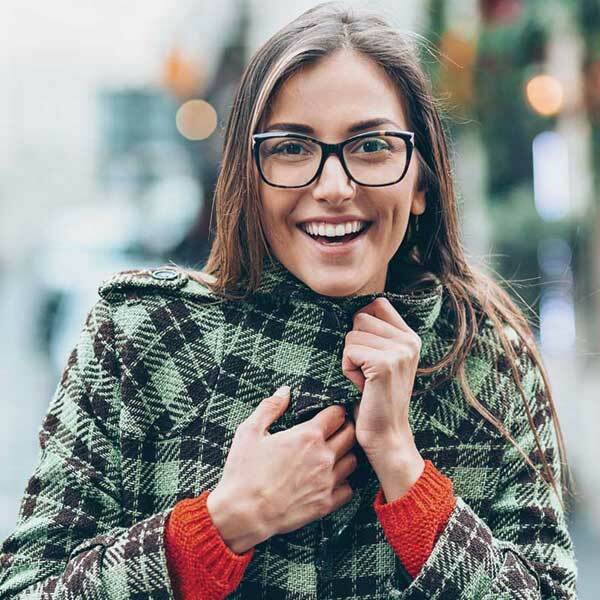 How to Beat the Winter Blues – Discover the meaning and recognize the signs of Seasonal Affective Disorder (SAD) and learn how to alleviate these symptoms. The Heart of the Matter – Heart Disease is the leading cause of death in the United States. Learn to recognize the risk factors for heart disease and how to keep your heart healthy. Know Your Numbers – Learn about the typical biometric screening process, which includes blood pressure, cholesterol and diabetes blood tests. Learn what your numbers mean and how to improve. 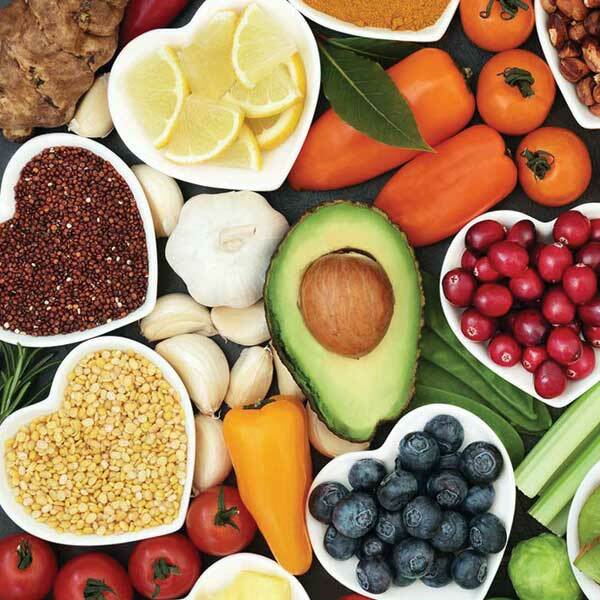 Diabetes: Connecting the Pieces for Self-Management – This class will help employees understand diabetes and glucose management. Learn the relationship between food, exercise and medication to achieve optimum long-term health. The Highs and Lows of Blood Pressure – This class includes discussion of new BP guidelines from November 2017. Skin Cancer: Protect the Skin You’re In – Explore the causes and risk factors for skin cancer. Examine three types of skin cancer and their prevention. You will be provided with guidelines for skin self-examinations. Understanding Metabolic Syndrome – Learn about this cluster of conditions that occur together and can increase your risk of heart disease, stroke, and type 2 diabetes. Working in Summer Heat – This class reviews types of heat-related illness, treatments and prevention. Keeping You Healthier at Home – This class will touch on medical emergencies, first aid, and common illnesses. The goal of the class is for employees to learn how to triage themselves at home with a self-care book. The Good, The Bad and The Ugly of Digital Media – Discover the importance of being “aware” of how digital media can work for you or against you Learn how to adopt some of the better skills for staying safe while using digital media.